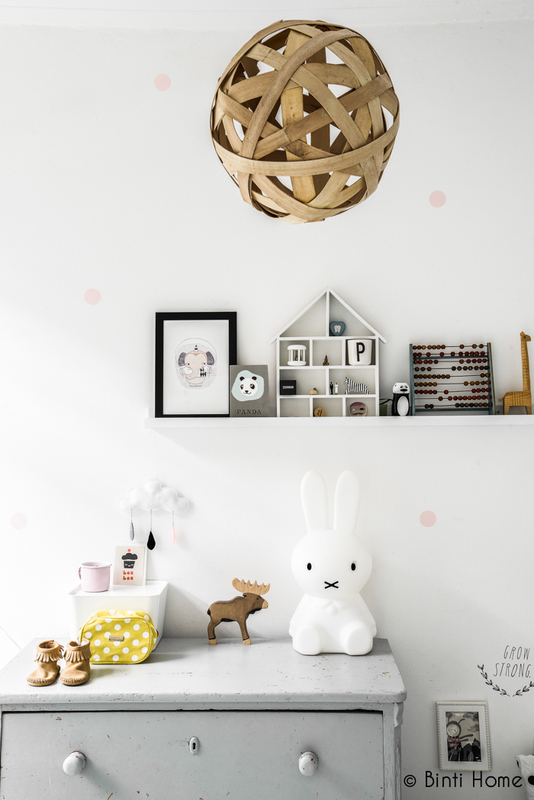 The house from Anne Britt and her family was published in Flair last week. I’ve photographed this house with this gorgeous style last summer. 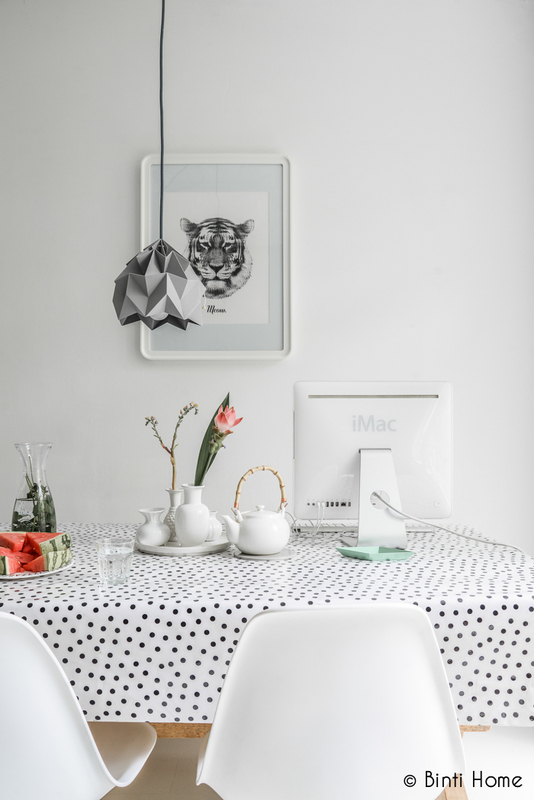 Famous Instagrammer Anne Britt is already wellknown for her dot tablecloth and the great images she shares from her daily life with her family and so sweet little daughter Pearl. Photographing this house was so much fun because of all the beautiful corners. Also Pearl makes me laugh more and more times, she such a sweet and really wise girl! 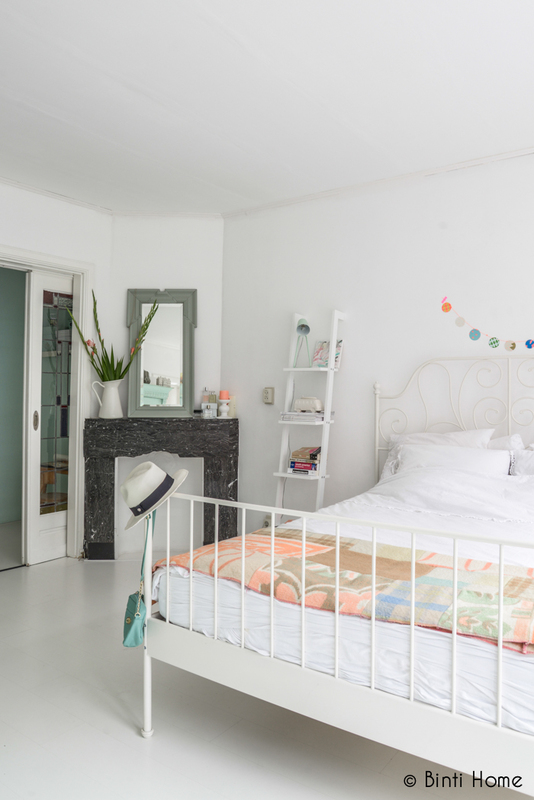 The style of this appartment in Amsterdam is a mix of Scandinavian design, vintage and the use of pastel colours. Because this house is not really big and there’s not a lot of storage you can see almost everything you put here. 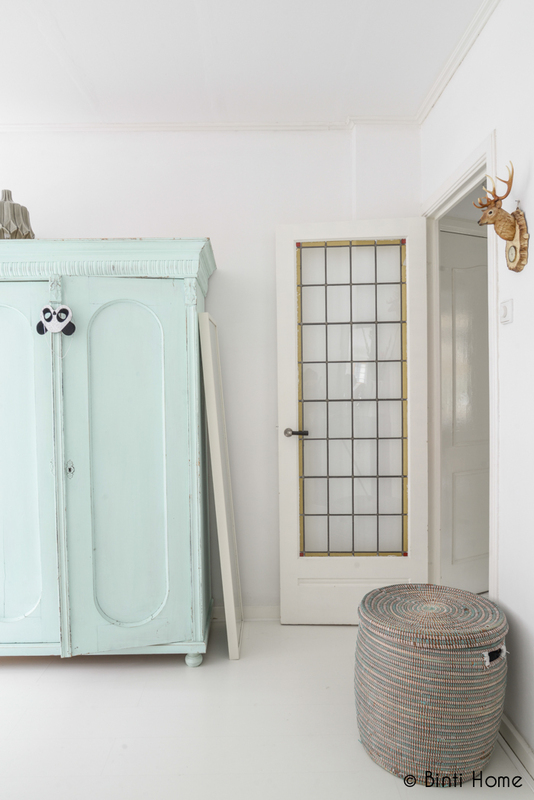 Anne Britt has a creative mind and wants to have products in her home which is functional but aesthetic as well. She moves her furniture a lot, so this living room has been the bedroom before, and the bedroom is now a big bedroom/playroom for little Pearl. In a base of white and grey this family love to spend time together. Thank you Anne Britt for inviting me, it was a lovely day! What a wonderful place :) Light, airy and full of creative ideas. Thank you Anja, it is! Heel mooi huis! heb je er prachtig op gezet Souraya! ik ben ook altijd dol op de foto’s van Anne Britt op Instragram. Wauw wat een mooie reportage Souraya! En wat heeft Anne Brit een heerlijke frisse stijl! Wat leuk! dankjewel Esther… neem zeker even een kijkje bij Anne Britt op instagram! Wat mooi! Genieten en zeker heel erg inspirerend! Wat een lief compliment, dankjewel Marit! Lovely home, i want that lamp! BEAUTIFUL!!!!!!!! I FELL IN LOVE WITH IT! 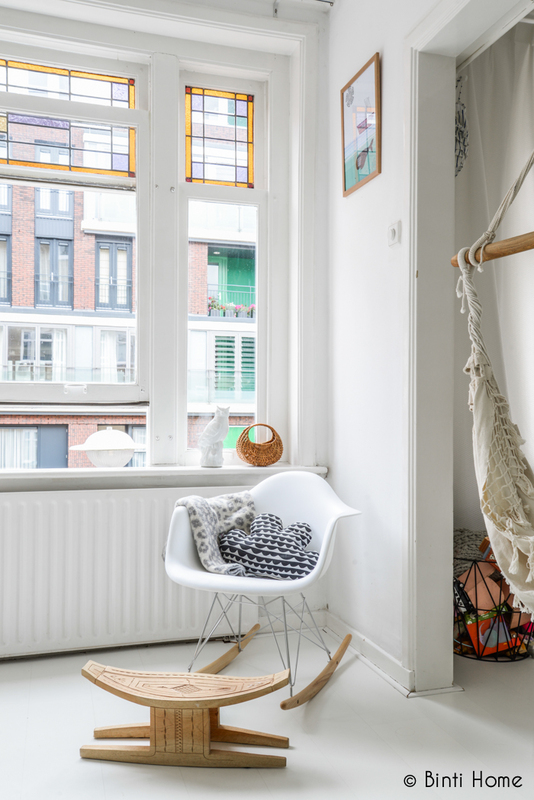 Wat een gaaf apartement! En die plaid….. wauw! Heb jij enig idee waar deze van is? Wat een mooie groene kleur op de muur, mag ik weten welk merk en kleur het is?